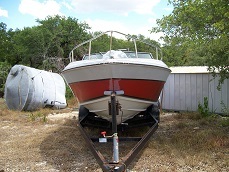 Austin Boat Forums › The Marketplace › Dealers › What is the best Austin boat dealer? What is the best Austin boat dealer? I am getting a bit closer to buying a boat this year. I want to know, what boat dealers around are best? Re: What is the best Austin boat dealer? what type and brand of boat are you looking for? the brand of boat is more important than the dealer. I have heard good and bad things on almost every dealer in town. but the boat type and brand will make up the decision on the dealer you go to. I haven't heard anything absolutely terrible about any of the dealers. But yes, what ya looking at? Still wake boats? Most of them have been around for while and are pretty solid. From Boating Industry 2011 Top 100 Dealers list. Pretty cool Austin has four dealers in the top 50 across the nation. 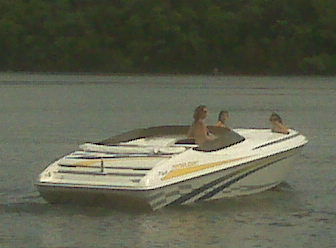 I do have some brand biases but I want to look at wake boats that can handle a wee bit of lake Travis chop. That is pretty cool! I guess I need to make the rounds with all those. Be sure to add Central Texas Water Sports on your list to visit. They handle the Malibu brand. My brother-in-law bought from them and they treated him well. He lives in the Woodlands and boats on Conroe. His Wakesetter handles the chop pretty good. I don't know why they didn't make the list. I heard good things about them but they may still be too new to make the list. the others have been around for years. They have been around for 20 years. They have moved a couple of times each time getting a better and bigger location. I frequently check out their selection when driving by. I am going to get in an accident looking. Great list of the top 100. THanks for posting.